Charlotte Motor Speedway's Fund-Racing program is designed to give back to the local community while giving the gift of speed! Receive $10 back on every $25 gift card or $20 back on every $50 gift card your organization sells to Charlotte Motor Speedway. It is a unique and fun-filled way for your organization to encourage financial support from the community and from supporters. In return they get to enjoy racing excitement at Charlotte Motor Speedway, zMAX Dragway, or The Dirt Track at Charlotte. Fund-Racing Gift Cards provide people who purchase gift cards from your organization the flexibility to use them for any event throughout the year at Charlotte Motor Speedway, zMAX Dragway, & The Dirt Track at Charlotte. Now you do not have to commit to a date or event in order to support your favorite organization! Call one of our Ticket Representatives below based on your organization classification. They will walk you through the quick and easy process of signing up your organization. Once you're signed up, we will send you Fund-Racing order forms to pass out to your members. The members take orders for gift cards and turn those orders back in to the ticket representative for fulfillment. We will mail the gift cards directly to the purchaser. A generous donation is paid to your organization for each gift card sold. That's all there is to it! Again, the gift cards can be used for ticket purchases at any of our three (3) facilities: Charlotte Motor Speedway, zMAX Dragway, or The Dirt Track at Charlotte. As an organization leader of the Fund-Racing program, you may qualify for exciting incentives as well. Call a representative today! Contact the ticket office at 704-455-3200 for more information or to sign up today! Memorial Day weekend has never been more fun! Tickets to the Coca-Cola 600 -- the toughest test of man and machine -- and a spectacular, patriotic salute to our military heroes! 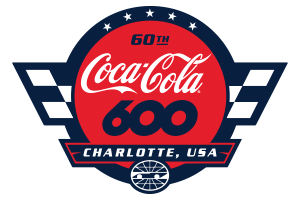 Afterward, enjoy the 60th running of the legendary Coca-Cola 600 at America's Home for Racing, Charlotte Motor Speedway.